The largest organ in the body is a prime target for gene therapy. Kat Arney is a science writer and broadcaster living near London. It’s not often that a figure in a scientific paper can make you wince with pain. But it’s impossible to look at figure 1a in Michele De Luca’s 2017 Nature paper and not feel a sympathetic twinge at the sight of a young boy, Hassan, covered from head to toe with red-raw wounds1. 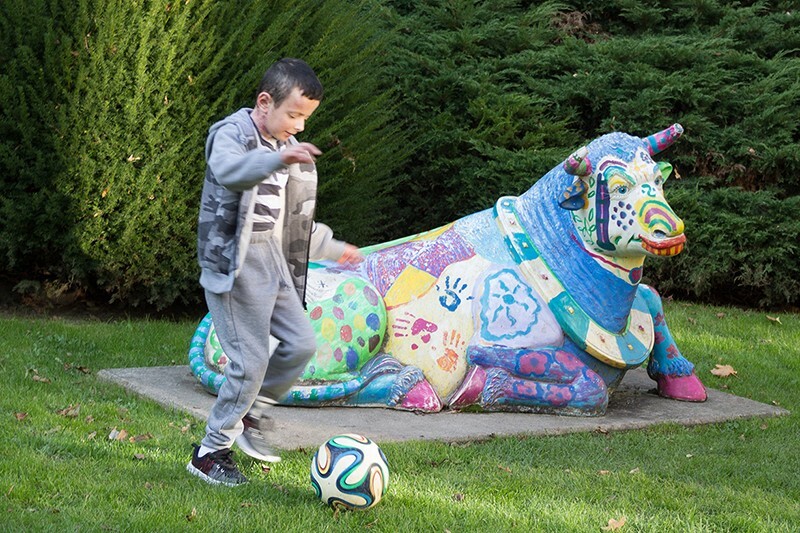 The son of Syrian refugees who fled to Germany, Hassan was born with junctional epidermolysis bullosa (JEB) — a condition caused by a genetic fault in one of three genes (LAMA3, LAMB3 and LAMC2) encoding subunits of the laminin-332 protein, which binds the surface of the skin to the underlying layers. Affected children rapidly develop large, painful blisters over their skin and internal mucous membranes, which can easily become infected. By 2015, when Hassan was seven, his skin was almost entirely destroyed and he was suffering from severe bacterial infections. Doctors at Ruhr University in Bochum, Germany, could offer only palliative care to relieve his suffering. But Hassan’s father enquired about experimental treatments, and the doctors got in touch with De Luca at the University of Modena and Reggio Emilia, Italy, who was working on a radical skin therapy. De Luca’s research builds on the life-saving work of cell biologist Howard Green at the Massachusetts Institute of Technology in Cambridge. 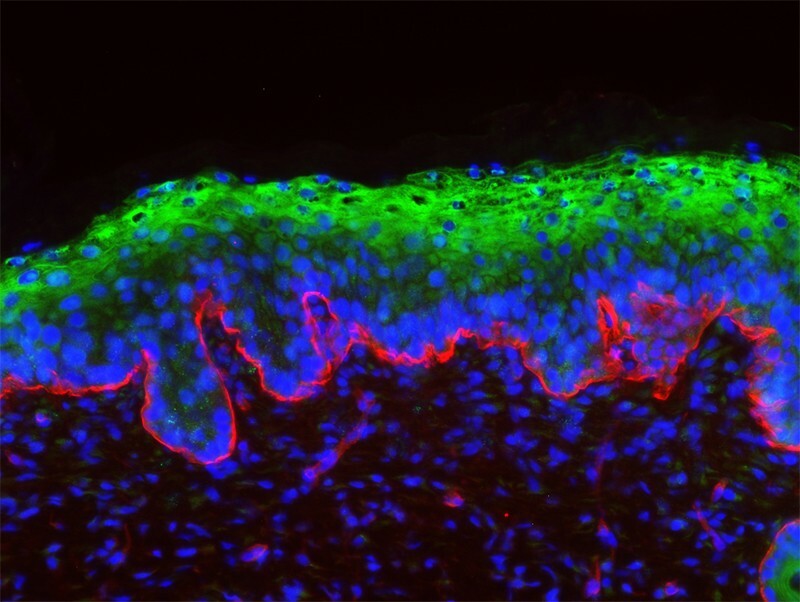 Green was the first to discover that sheets of skin cells could be grown in the laboratory, creating personalized skin grafts that avoid the problems of immune rejection. De Luca worked with Green at Harvard Medical School in Boston, Massachusetts, in the 1980s, and he later decided to develop Green’s approach for treating genetic skin conditions by genetically modifying the skin cells to fix the disease-causing mutation. “We’ve been using epidermal skin-cell cultures for many years to treat hundreds of patients, carrying out a lot of work on basic stem-cell biology as well as gaining clinical experience, so it was obvious to try and genetically modify these cells for treating rare skin diseases like JEB,” De Luca says. The idea of growing genetically modified skin for therapeutic use was first proposed in 1994 by dermatologist Gerald Krueger at the University of Utah in Salt Lake City2, and De Luca and his team reported the results3 from an initial small clinical trial of genetically modified skin grafting back in 2006. The recipient was a 36-year-old man with JEB caused by a LAMB3 mutation. He was treated with nine small patches of skin that were grown from his own epidermal cells and modified with a viral vector expressing the missing gene. The grafts remained stable and healthy for more than a year, proving that the technique had the potential to provide long-term correction of the condition. Luckily, this was just in time for Hassan. De Luca’s team took a tiny unblistered skin sample from the child’s groin, then carefully cultured the epidermal stem cells and modified them with a viral vector carrying a functional version of LAMB3. 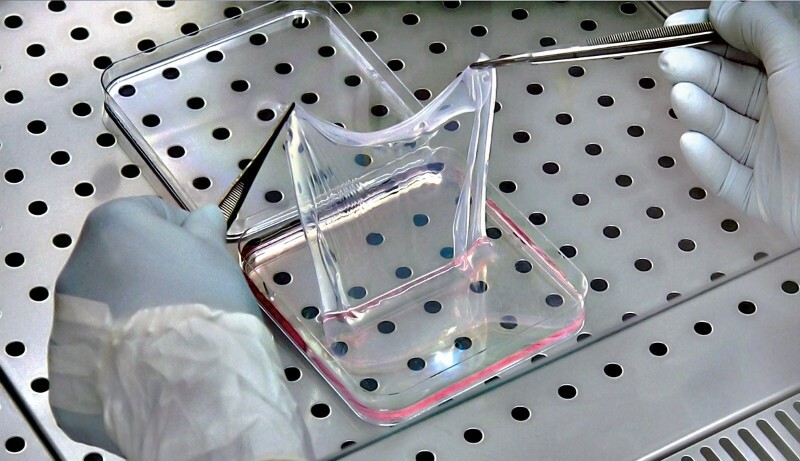 The next challenge was growing enough 12-centimetre-square sheets of modified cells for Ruhr University plastic surgeon Tobias Hirsch to wrap around the child’s fragile body. After two major operations to replace the skin on Hassan’s limbs and torso, followed by some smaller procedures, around 80% of the entire epidermis had been replaced, making it the largest genetically modified graft performed to date. By the time the results were published in 2017, Hassan was like a different child, his raw blisters replaced with smooth, perfectly functional skin. As well as detailing Hassan’s progress, the paper1 reveals why the treatment was a success. The skin is made up of many different types of cells, some that are short-lived and others that are much more persistent. The researchers showed that long-term grafting was only possible if the genetically modified cells were holoclones — a relatively rare type of immortal cell that can self-renew indefinitely. By adjusting the culture conditions, De Luca and his team were able to encourage the growth of holoclones, greatly increasing the chance that the resulting grafts would work. Over at the University of Chicago in Illinois, Xiaoyang Wu is generating genetically modified skin with a different purpose in mind. In 2017, he and his team showed that genetically modified skin grafts could be used as living ‘drug patches’ in mice4, akin to plastic nicotine or hormone patches. Using the gene-editing technique CRISPR–Cas9, the researchers modified epidermal stem cells with a version of the gene encoding GLP1 — a hormone that controls blood sugar levels and suppresses appetite — which could be switched on by the antibiotic doxycycline. They then grew the cells into small skin grafts and transplanted them onto the backs of mice. The researchers found that the engineered skin grafts could successfully secrete GLP1 into the animals’ blood in response to the drug, slowing weight gain and preventing diabetes in mice kept on a high-fat diet. Wu’s team has now used this technique to create similar patches of CRISPR-modified skin cells that produce a tweaked version of an enzyme called BChE, which breaks down cocaine5. Wu’s version metabolizes the drug more than 4,000 times faster than the naturally occurring form, rapidly clearing it from the body and quickly killing the ‘high’. When tested in mice, the skin patch stopped the animals from becoming addicted to cocaine and prevented them from overdosing, pointing towards a potentially promising treatment for people with drug addictions. Wu and his team are also working on skin patches that could serve as long-term living biosensors — for example, engineering cells that change colour or fluoresce in response to blood glucose levels. Although De Luca finds this idea intriguing, he is more focused on making genetically modified skin replacement a viable treatment for the thousands of children born every year with genetic skin disorders. He is currently running two clinical trials for people with different forms of JEB, but is keen to expand into other forms of epidermolysis bullosa, which can be caused by a fault in any one of at least 18 different genes and affects around 1 in every 20,000 children born in the United States. And it’s by focusing on the youngest patients, who have the most to gain from early intervention, that De Luca hopes to make the biggest difference. Three years on from his record-breaking skin replacement, Hassan is living testament to this possibility, regularly visiting the team in Modena for check-ups. 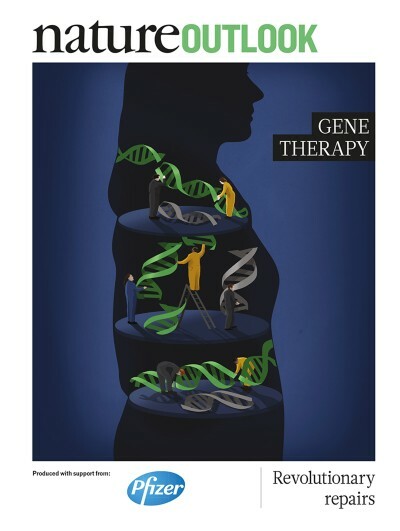 This article is part of Nature Outlook: Gene therapy, an editorially independent supplement produced with the financial support of third parties. About this content. Hirsch, T. et al. Nature 551, 327–332 (2017). Krueger, G. G. et al. J. Invest. Dermatol. 103, 76S–84S (1994). Mavilio, F. et al. Nature Med. 12, 1397–1402 (2006). Yue, J., Gou, X., Li, Y., Wicksteed, B. & Wu, X. Cell Stem Cell 21, 256–263.e4 (2017). Li, Y. et al. Nature Biomed. Eng. https://doi.org/10.1038/s41551-018-0293-z (2018).